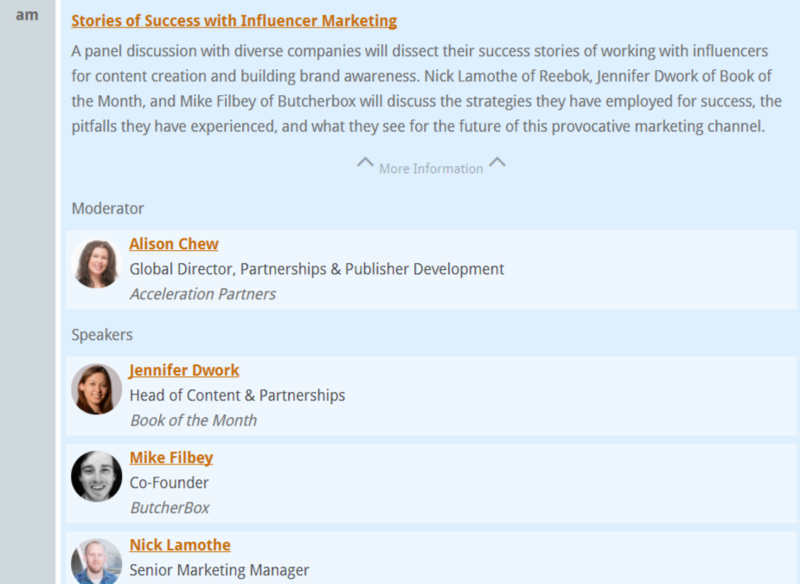 You won’t want to miss our very first session at Influencer Marketing Days on Monday, September 25th! Mike Filbey, Head of Marketing at ButcherBox, a subscription service offering monthly organic meat deliveries. Jennifer Dwork, Head of Content & Partnerships at Book of the Month, a monthly subscription service delivering the hottest new books. Nick Lamothe, Senior Marketing Manager at Reebok, a global brand for quality sports attire and gear. Each of these savvy marketers has strategically partnered with influencers, resulting in impressive customer growth, reach, engagement, and sales. Even though the goals of their influencer campaigns were different, they all understood one key concept: trust yields results. Most consumers today base their purchasing decisions on the recommendations of those they trust and admire; and these followers can be fiercely loyal. Book of the Month leveraged Instagram for their ambassador program, compensating participants with free products (great books!) in lieu of a flat fee or commission. At over 90 strong (to date), the micro-influencers in their ambassador program are promoting Book of the Month’s subscription service and engaging their target demographic through authentic and beautiful content. ButcherBox turned to influencers in the Paleo Community, almost solely using email messages to connect with their followers. By using emails, influencers had enough space to tell the story of ButcherBox, their products and business model, all via an intimate message sent to their inbox as opposed to a public post in on social media. This is just one of the tactics that ButcherBox leveraged to close sales and build their brand. While Reebok’s wide brand recognition has been advantageous in partnering with celebrity and mega influencers, such as famous athletes, they too face the common challenge of figuring out how to measure their ROI beyond engagement. 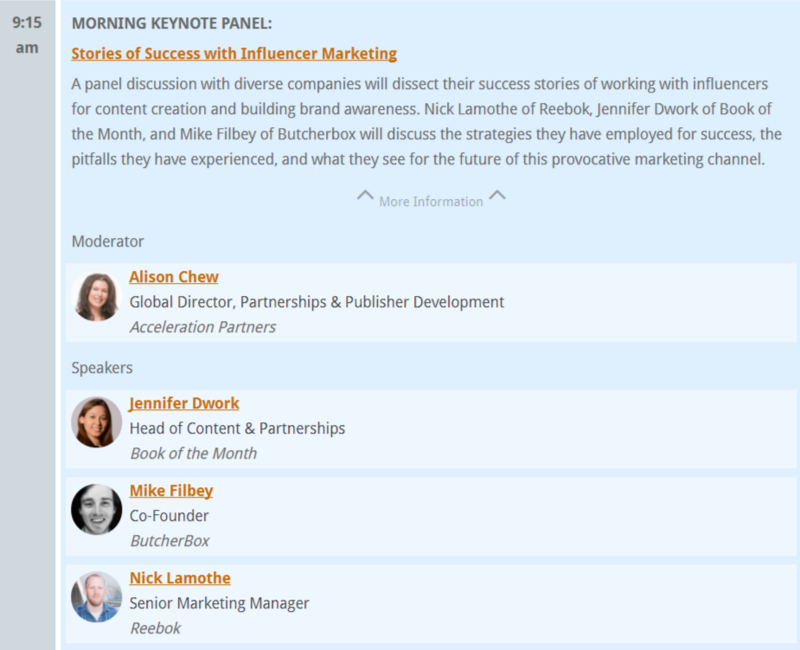 As you’ll hear on the panel, Nick has turned his focus to micro-influencers in order to better obtain more bottom-of-funnel metrics and reach Reebok’s audience more authentically and directly. This is one panel you do not want to miss. This is a unique opportunity to hear from leading marketing experts about their challenges, success tactics, influencer acquisition strategies, approaches to influencer compensation and make their predictions on where influencer marketing is headed next.